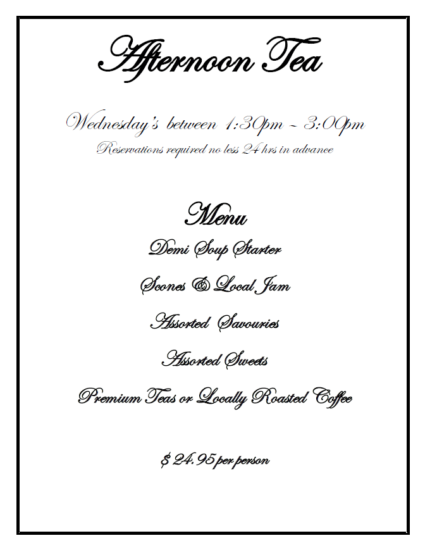 Afternoon tea takes place on January 4th from 1:30-3pm at the Golden Ears Cheesecrafters. The cost for the event is $24.95 per person. Check out the menu below!